On a radiant day in Sydney, four adults converge on Circular Quay, site of the iconic Opera House and the Sydney Harbour Bridge. Crowds of tourists mix with the locals, enjoying the glorious surroundings and the play of light on water. But each of the four carries a complicated history from elsewhere; each is haunted by past intimacies, secrets and guilt: Ellie is preoccupied by her sexual experiences as a girl, James by a tragedy for which he feels responsible, Catherine by the loss of her beloved brother in Dublin and Pei Xing by her imprisonment during China's Cultural Revolution. Told over the course of a single Saturday, Five Bells describes four lives which chime and resonate, sharing mysterious patterns and symbols. A fifth figure at the Quay, a barely glimpsed child, reminds us that some patterns are imprecise and do not resolve. By night-time, when Sydney is drenched in a rainstorm, each life has been transformed. 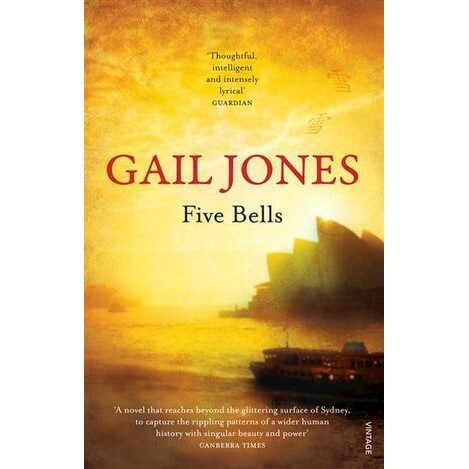 Five Bells is a novel of singular beauty and power by one of Australia's most gifted novelists.